Event pricing for parking will be enforced 4 hours prior to puck drop. We strongly encourage you to prepay for parking to guarantee your spot. The official parking garages for VGK games are at New York-New York, Park MGM, Excalibur, Aria, and MGM Grand. The option to buy prepaid parking cuts off 7 hours before puck drop. M life members with Pearl status and above will have parking subject to availability on playoff game days. Beat the traffic by arriving early. Stay late and allow roads to clear after the game before getting on the road. Consider alternative modes of transportation- RTC bus, rideshare, taxis or Las Vegas monorail. The Regional Transportation Commission of Southern Nevada (RTC) operates four Golden Knights Express routes on home games that provide non-stop service to the T-Mobile Arena from the Summerlin, Henderson, Centennial and Southwest areas. Exact cash fare of $2 each is needed or tickets can be purchased via the rideRTC app. All routes pick and drop off on Frank Sinatra Drive. From there, it is a short walk to the arena. After the game, each route departs the arena approximately 20 minutes and 30 minutes after the game ends. Beerhaus in the Park is the official pre-game destination and it is where the party is at before, during, and after the game. 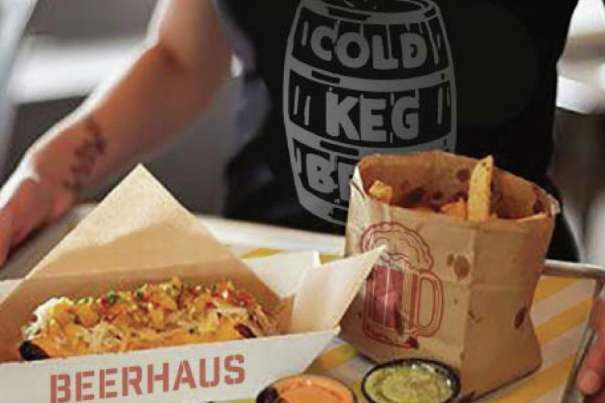 Watch the game while enjoying cold brews and classic beer hall bites, play hockey themed games and enjoy Vegas Golden Knights specialty drinks. 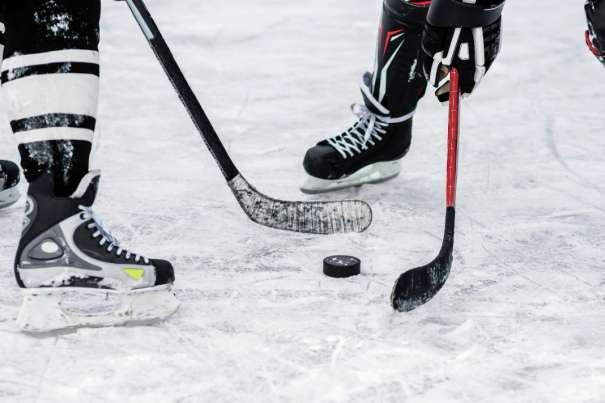 You can also catch the hockey action at New York-New York Hotel and at Park MGM Las Vegas. Have some time to spare before attending the playoff game? 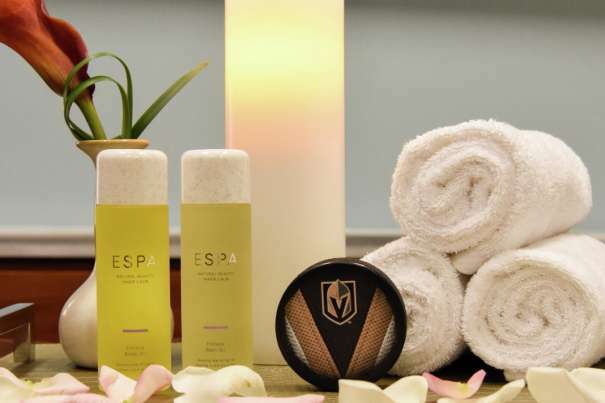 Treat yourself and take advantage of the Vegas Golden Knights treatments at the Five -Star rated ESPA at Vdara. We recommend the Vegas Knights Treatment that includes body exfoliation, an amazing body massage with aromatherapy oil, and a tranquil scalp treatment. If short on time, try the Power Play Massage that utilizes techniques to increase joint mobilization, incorporates stretching and a choice of an upgrade that can include hot stones during the massage, reflex zones on the feet, scalp massage, targeted muscle relief using muscle balm, or a gold collagen under eye treatment. ° Public House - Offers special pricing on food and drinks during the game, including $10 cocktails. ° Broadway Burger - We recommend the Go Knights Go! Burger featuring a black bun and gold sauce. If visiting near Mandalay Bay, guests can take advantage of the below perks. ° Complimentary entry into the Shark Reef Aquarium on April 14, April 16 & April 21( if game 6 is played) if wearing VGK gear and save $5 off admission if wearing San Jose gear. ° Fleur by Hubert Keller - Guests who wear a Marc-Andre Fleury jersey and purchase the Fleur-y Burger will receive a complimentary beer. ° STRIPSTEAK - Guests sporting their favorite Golden Knights jersey will receive a complimentary Golden Knights-themed dessert. ° Hussong’s Cantina - Wear your hockey jersey and receive 15% off bill. 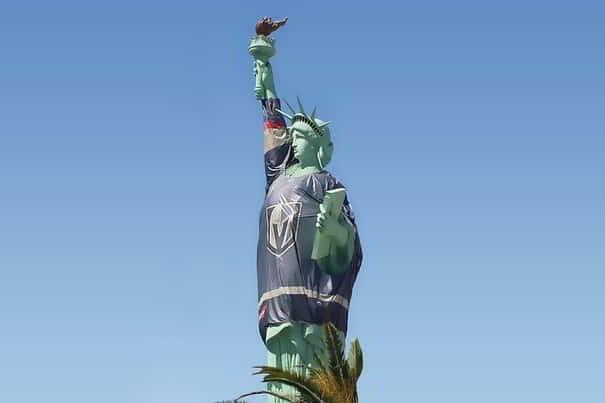 ° Slice of Vegas - Wear your knights gear and enjoy happy hour during the game. ° Rí Rá Irish Pub - Wear Knights jersey during the game and receive 15% off bill.